New demonstrations in Sudan meet with repression and leaders of the opposition including those of the Communist Party of Sudan are detained. Following the uprisings against the economic policies of the Sudanese regime on 16 January in Khartoum and 17 January in Omdurman, the call for 31 January in Khartoum North met with massive support of the Sudanese people. The demonstration organised by the opposition including the Communist Party of Sudan (CPoS) was harshly repressed by the regime’s security forces. In several towns of Sudan, protests were dispersed by the police and the leaders of the opposition were detained by the National Intelligence and Security Service (NISS). During the last demonstration, the CPoS Secretary-General, Mohamed Abdallah El Doma was among those detained. According to the Sudanese media, more than 450 political activists and journalists are currently being held by the NISS in the country. The Democratic Front of Lawyers (the alliance of communist and democrat lawyers) called for the immediate release of all political activists. It was reported that the security apparatus also confiscated the Al-Midan newspaper of the Communist Party of Sudan. 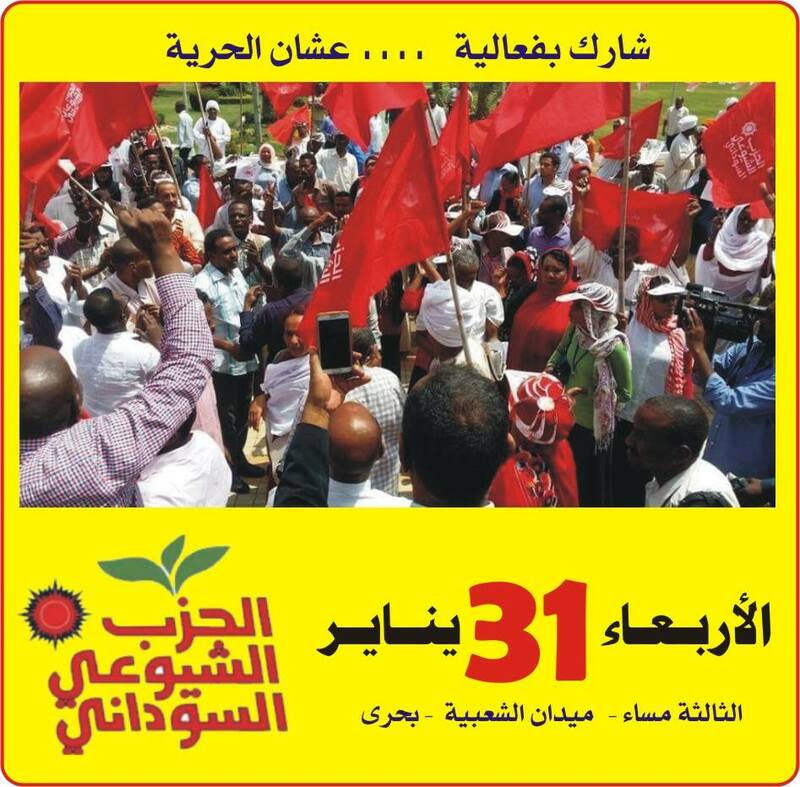 In its website, the Communist Party of Sudan stated that the protests against the policies of the economic system is an important and advanced step in the process of revolutionary overthrow of the fascist regime.